Viwa is a Chinese mobile industry which manufactures smart phones at reasonable and low prices. One of the Viwa mobile releases is the Viwa X1 which is a 3G Dual-SIM mobile phone with a 5.5’’ inch screen. You can buy this technology phone at Jumia Egypt at the lowest Viwa X1 price in the online market. Explore our Viwa category today and add your Viwa X1 to your shopping cart, confirm your order and enjoy the fastest delivery in Egypt. 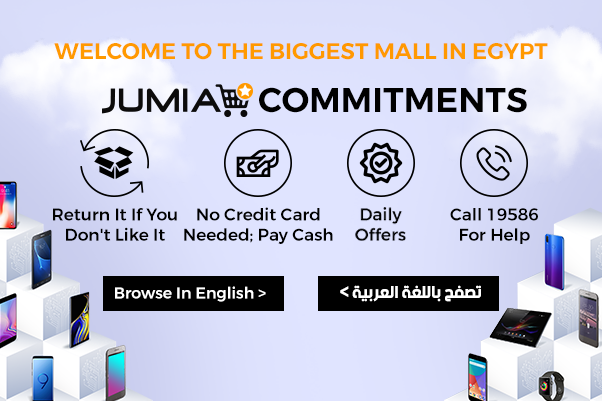 Start shopping online at Jumia Egypt and discover the collection of Viwa mobiles we have to offer. You can get yourself the new X1 Viwa mobile from our catalog and enjoy fast delivery to an address of your choice. If you’re interested in buying a new smartphone that is high in quality and fast in performance, but low in price, Viwa X1 is the phone for you. This Viwa mobile is a 5.5-inch screen phone that has a 3G Dual-SIM feature and runs on 1GB RAM. You also get an amazing 8MP back camera and 8MP front camera, as well as, 3000 mAh battery that will last you the entire day. Store all your favorite photos and videos on the X1 mobile, because it has an 8GB storage space and can take a microSD of up to 32GB. Order your favorite X1 phone color online and get the best X1 price in the market. Alongside the endless collection of mobiles and smartphones to choose from at Jumia Egypt, you can also find many different mobile accessories to choose from, whether it’s for your new X1 mobile phone or any other device. Order the Viwa X1 today to enjoy amazing services from Jumia Egypt, such as fast delivery, secure payments and free returns.